The P90X 3 Phase Nutrition Plan is key to having success with the P90X workout. Be prepared to learn a lot about what to eat and why everything you learned about food is wrong. The meal plan comes with every P90X workout and should be read right after you pick what version of P90X you are going to do. To get great results with the P90X workout you have to follow the P90X nutrition plan. Don’t make the same mistake I did during my first 3 rounds of P90X and eat what you think is good and wonder why your not seeing the results you should be seeing. Yes, you will get stronger and in better shape but if you’re not following the P90X nutrition plan then your not going to see those ripped 6 pack abs or the definition you know you have. That is one of my favorite quotes from Tony Horton and its so true. Tony said that over 75% of your results will come from what you eat and not from the workouts. Its hard to understand why a guy who makes his living from selling the P90X workout dvds would say that but he’s right. The workouts alone will not do it. Why Is The P90X Nutrition Plan So Hard To Follow? This is a common answer for most, if not every person who starts reading the P90X nutrition plan. It is very in depth and in some cases over whelming. Its set up for success so you have to understand that Beachbody is setting you up to achieve the best possible results. It might feel like you are taking a health class while reading the P90X nutrition book and it should. There are tons of recipes showing you how to prepare the food along with when the best times to eat are. What I recommend you do is sign up for Beachbody On Demand where you can access P90X and a number of meal plans. No worries. What worked for me was to pick a couple items from each phase, learn how to make them, and slowly incorporate them into my diet. This way it did not feel that overwhelming trying to learn 3 new things to cook every day. Now it was just 1 new thing a day which turned into 5 new meals a week. Its going to take time but most of the meals involve changing out one main ingredient like instead of using beef they recommend turkey. Buy Shakeology and start using it daily. This is a quick and easy way to make sure you get all of the vitamins and a handful of other powerful ingredients in your body every day. I’d say its made the biggest effect on my results since taking it. Shakeology helps keep the weight off and it gets to work on your system flushing out everything your body does not need. Where Can I Buy The P90X Nutrition Plan? 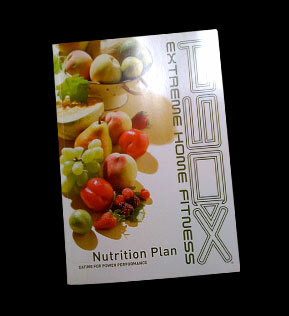 Beachbody does not sell the P90X nutrition guide individually. Your best option is to get a free Beachbody account and check out the free nutrition tips. What I really enjoyed about the P90X nutrition plan is that it slowly starts you in changing your eating habits. As most of us know, crash diets lead to failure. Our lives are not designed to make drastic changes so fast and our body will now know what to do and will go into shock mode. I can tell that the people at Beachbody have really put some time and effort into making the whole P90X package a top notch workout system. Most of the dinners and meals that are included in the P90X 3 Phase Nutrition Plan are simple and it really comes down to portion control. This is one thing that is stressed in the guide. They try to get you to eat through out the day instead of 3 big meals which most of us do. Eating 5 small meals during the day will give you the energy to stay moving but not make you feel so heavy and tired after eating.